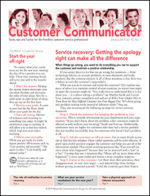 Every other month, our panel of frontline experts answers a service-related question in Customer Communicator newsletter. Newsletter subscribers have access to dozens of questions and answers below. You’ll find everything from advice for a new rep, to strategies for dealing with difficult customers, to getting support from other departments. Question: Do you have any regular celebrations or teambuilding activities in your department? Question: How do you cope with awkward situations? Question: What’s the best advice you can offer to a new service rep? 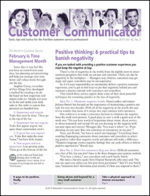 Question: What’s the best way to deal with critical customers? 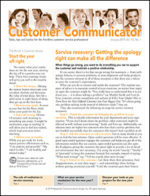 Question: How do you “take ownership” of customer issues? Question: What can I do to stay motivated? 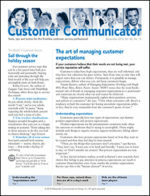 Question: What customer service skills are most important? Question: How can we learn from calls that go badly?